Careerists are professionals who are ambitious and motivated by career advancement. I work with experienced professionals in highly competitive industries who are at a critical juncture in their careers. They come from a variety of industries which include financial services, real estate, hotel and leisure, technology, law, manufacturing, and marketing. The professionals I work with are highly motivated, work long hours, yet enjoy their leisure activities. 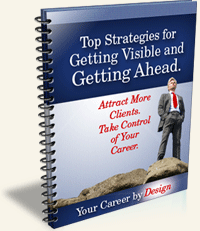 They want to take greater control of their careers in order to stand out and succeed. You need to change the way you are perceived in order to move your career forward. You need the right tools and guidance to help you. You want to be able to clarify and strengthen your personal brand. You know the value you deliver and want to be able to communicate it effectively in ways that improve your career prospects. You want to be a leader, not a manager, but need a better plan to get there. You know you have the ability, you just need to call on a different skill set. You want to accelerate and improve your career prospects. You know what you want, you just need some help getting there. You want to manage your career, not be managed by it. You want to proactively take control of your future but need to learn how. Are willing to work hard. You know that success doesn’t come about without a lot of hard work. Are open to change. You know that sometimes you don’t always end up where you thought you were going. Believe in their abilities. You know you have what it takes, you just need a better road map to get to where you want to be. Are willing to try new things. If necessary you are willing to move out of your comfort zone and explore new ideas and try new methods to achieve your goals. Your Career by Design is dedicated to helping you define your identity and then leverage and communicate your unique promise of value, your personal brand. A strong personal brand incorporates your values, your vision, your differentiating qualities and abilities, and will move you closer to achieving your career goals. A seasoned career professional will provide expert guidance to help manage your career and grow your network on your journey to success. Your unique talents, skills, experience, and passions help you to stand out. By building a strong personal brand, you develop a solid reputation. By knowing how to effectively leverage and communicate your brand you build career success. A strong personal brand is critical to your success. Utilizing a three step process that incorporates assessments, outside feedback, and self examination we work together to help uncover your unique promise of value that differentiates you from your competitors. Your personal brand is a reflection of your vision of the world, your purpose in supporting that vision, your values and your passions. When you are clear about your goals, the messaging you create will be consistent with your personal brand. Your marketing plan will be in line with what you enjoy doing and what you can accomplish on a regular basis. I have over 25 years of experience as an executive recruiter, personal branding strategist, career coach, and entrepreneur. Positioning professionals so they can capitalize on and create opportunities to move their careers and business forward is my passion. My unique approach to helping clients strategically grow their business and build their careers comes from my extensive experience and first hand knowledge of what it takes to be successful in a competitive industry. This unique combination helps clients reach their full potential and achieve their career goals. "Mary is a true find. She brins to the table a unique mixture of results oriented approach, creative thinking and a charming personality. She quickly helped me realize what my goals are, define my brand and coached me on how to communicate it to my tribe. She changed my vocabulary and my approach almost over night and by doing so - influenced the rest of my career." "Mary knows what it takes to get ahead! She gets you organized and focused and pushes you to reach out and pursue your career goals. I highly recommend consulting Mary to keep your career on track."